If you came to Hearthstone late, you might find the Wild format intimidating – there’s a lot of cards there that you’re just not able to get, from adventures and expansions that have been taken out of rotation. Well, that’s no longer going to be an issue: all Wild sets will be available to purchase soon. Just getting into Hearthstone? 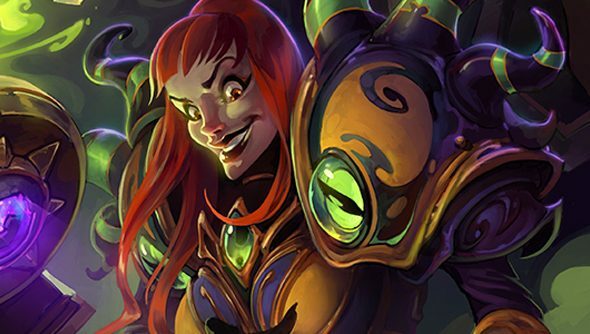 Well we’ve put together the best Hearthstone decks for beginners to get you started. That will be Curse of Naxxramas, Goblins vs Gnomes, Blackrock Mountain, The Grand Tournament, and The League of Explorers all available on the Blizzard store. On top of that, sets in the current rotation will move to this system later on when they too are moved to Wild. As they’re only available on the Blizzard store, it’s likely they’ll only be available for real money, and there’s no word on exactly how much they’ll cost. These Wild sets will be coming to the store “in the coming weeks,” so hopefully we’ll get more information on them soon. Check out the official post for the information straight from the horse’s mouth, and thanks to HearthPwn for pointing it out.